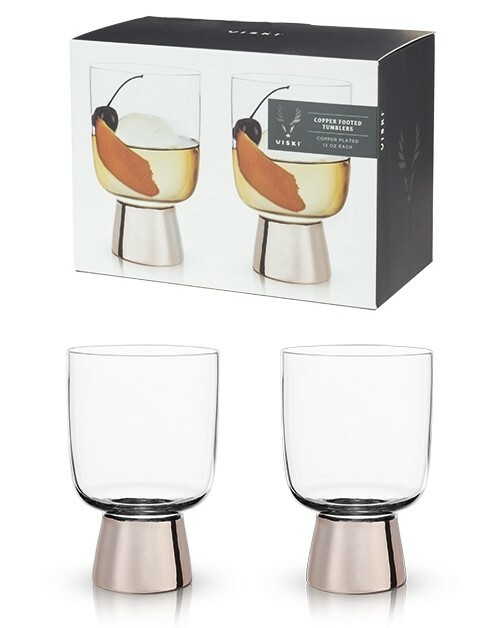 Sophisticated copper accents are where these tumblers truly shine. Crafted with careful balance, their unique copper-footed design is complemented by the crisp clarity of high-quality glass. Each tumbler holds 12 fluid ounces. High-quality glass with copper-plated base. PLEASE NOTE: Sold as a set of two (2) and prices quoted below are per set. "I just wanted to thank you so much for the beautiful wedding decorations. They arrived very quickly and everything looks great." Ruby F.